Who do you know that would love a ‘charm’!!! The most famous use of prizes in the United States (and the word “prize” in this context) is Cracker Jack brand popcorn confection. Prizes have been inserted into every package of Cracker Jack continuously since 1912. A familiar jingle to people who watched television in the United States in the 1960s and ’70s goes “Candy-coated popcorn, peanuts and a prize. That’s what you get with Cracker Jack!” Cracker Jack sales are not what they used to be, with much more competition in the snack industry and less creative prizes. The most valuable prizes found in Cracker Jack are the baseball cards distributed in 1914 and 1915. Although most of the prizes recently are just printed paper, in 2004, a complete set of 1914 Cracker Jack baseball cards — including the highly sought after “Shoeless” Joe Jackson and Ty Cobb cards — was sold for a record $800,000. 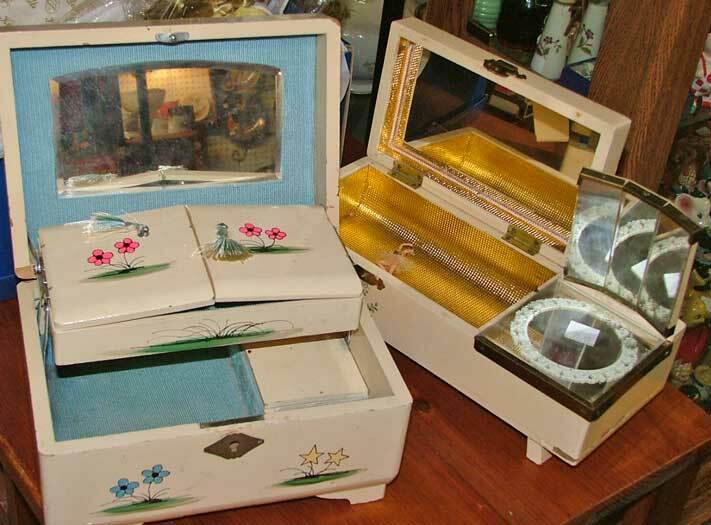 Prizes in boxes, gum, cereals, machines – well, just about anything someone can tuck a tiny prize into – are always fun. Stop by and see our Wednesday Box Surprise – a huge case of charms. 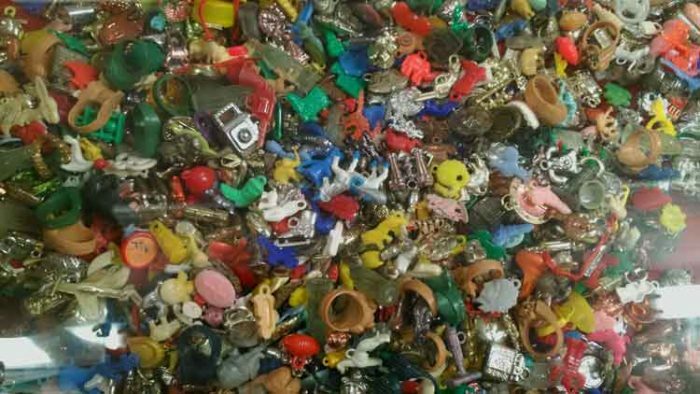 Let us know how you use these tiny charms: jewelry, art, shadow boxes? Yep, we’ll be watchin’ for ya. After all, it’s the first day of Spring 2019!! The animated characters in the TV commercials for children will include something old (Speedy McGreedy and Gilbert Giddyup, who have been used in Hardee’s advertising previously and something new (Frankenstein Mouth and Supermouth). “Through characters like these, we want to generate the idea that there is no better way in the world to satisfy your appetite than by going to Hardee’s,” said Thomas W. Carey, a senior vice president and management supervisor of Benton & Bowles. Wilber Hardee opened his first namesake restaurant in Greenville, North Carolina in 1960. Five months later he had his first franchisee and over the years his burger chain has spread to become a favorite throughout the Midwestern and Southeastern United States. Fifteen years later they celebrated the opening of their 1,000th restaurant. In the 80s with a little help from the California Raisins, they introduced their Cinnamon and Raisin Biscuits. By the end of the 80s, they’d opened their 2,000th location. Today, among other items, they are known for their Thickburgers(R) line. If you’re looking for something fun and you happen to be a Hardee’s Fan, stop and check this out! Yep, we’re here and we’ll be watchin’ for ya! Tiny Smurfs are a delightful collectible. The Smurfs is a Belgian comic book series created by Peyo in 1958. 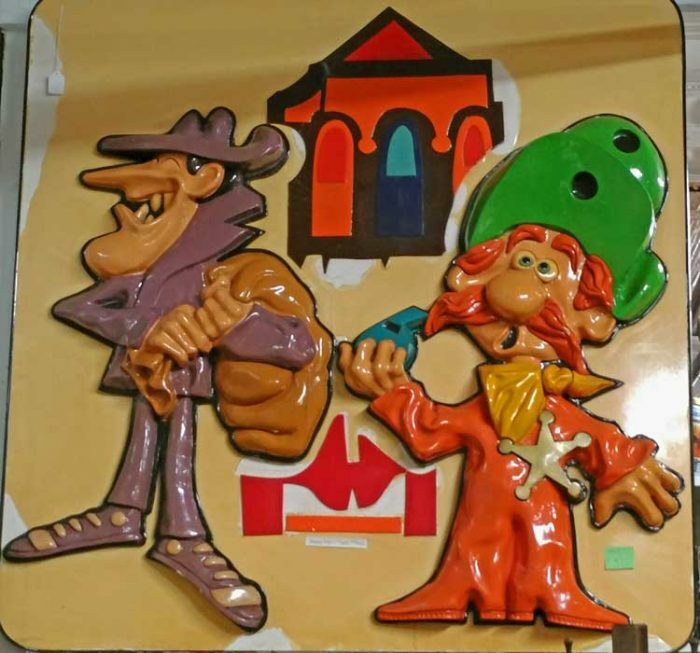 It became well-known worldwide with the Hanna-Barbera cartoon series in the 1980s. With the popularity of the Smurfs came a wide range of toys and spin-off products and use of the Smurfs in merchandising. Smurfs’ merchandising in 2008 generates about 5 to 12 million euro per year in Europe alone, while the total figure after fifty years worldwide is about $5 billion. Do you know how many female Smurfs there are? Do you know their names? We’ll give the answer at the end of the post. Are you familiar with FLIX? No, we’re not talking about the soft fur of a beaver or software! 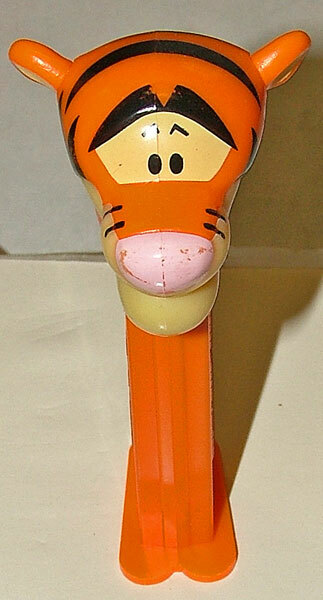 We’re talking about the fun FLIX Candy Gumball Machines. This recently acquired collection are in their original packaging and included Power Ranger Super Heroes and Flintstone Characters. These are another great way to start a youngster in the joy of collecting. We invite you to bring your youngster in to browse the shop. Share your stories with them and encourage them if they show signs of wanting to ‘collect.’ We love meeting young collectors. We’ll be watchin’ for ya! Smurfette , Sassette, and Nanny. When the movies came out, more were created. Well, it’s useful and decorative! Tin can containers with advertising have always been popular. 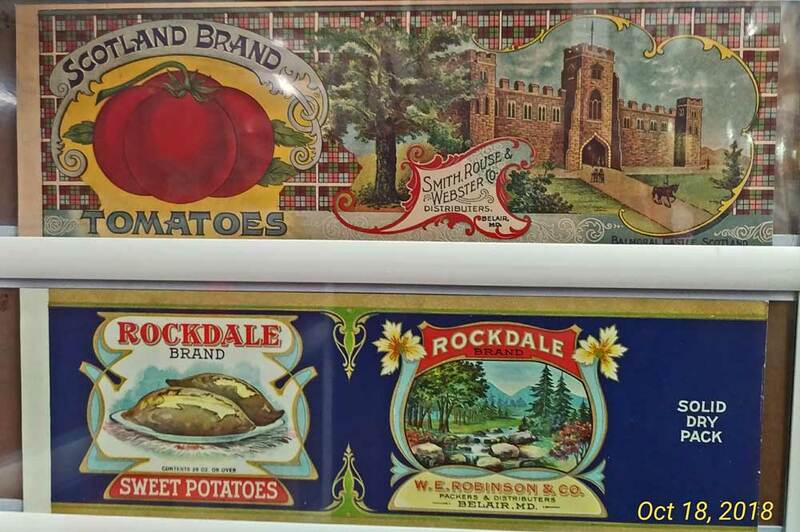 Tin containers are loved for decoration, especially when enjoying the many colors and designs from their advertising. Some are very collectible. But they’re nearly all quite utilitarian. They make perfect storage containers for a very wide variety of items from bags of flours to cookies, yarns to crayons, and just about anything you might think of. 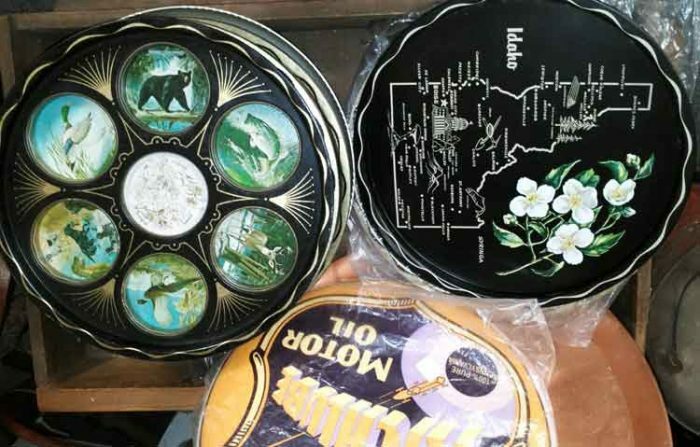 Tin Trays offer everything from advertising, to tourism messages, and symbols of the states. 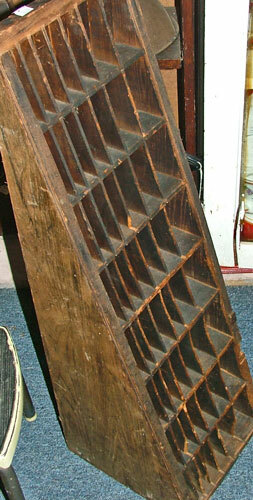 Tin trays have been used for their primary use – carrying things. But tin trays have also been used for wall decorations or to hold things on shelves and tables. They come in pretty much every shape and size. 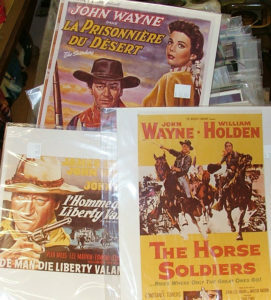 Many collectors love them for their advertising as well. 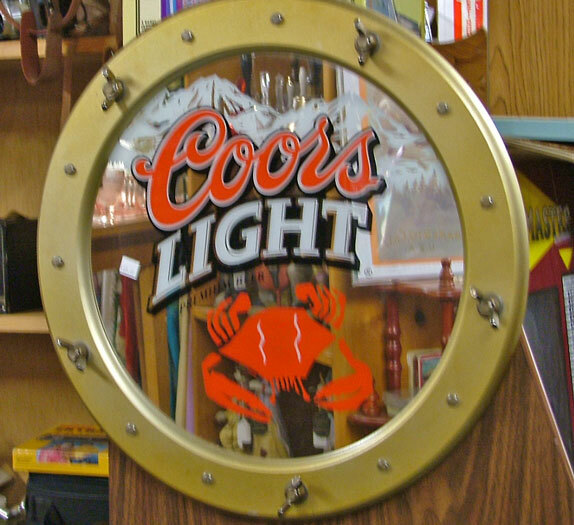 Here at Bahoukas we also have a wonderful assortment of decorative, tin signs. 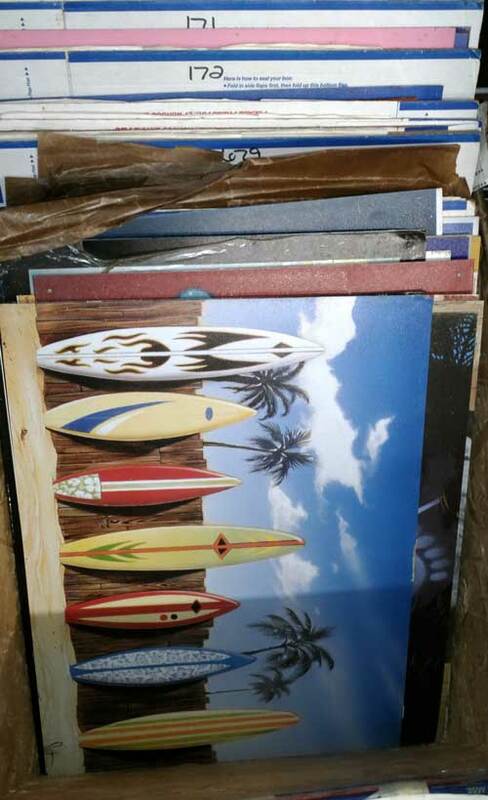 Some have old advertisements on them, others are just great images, like the surfboards in the one pictured to the left. 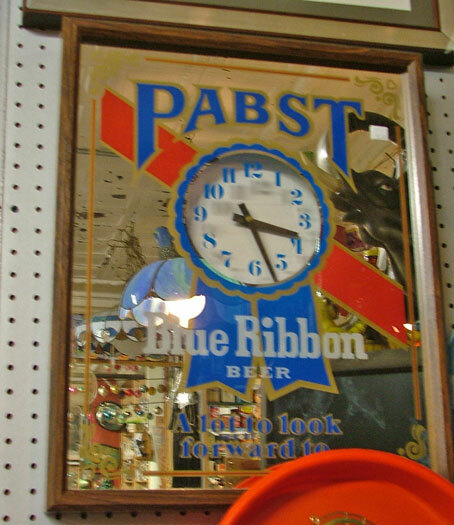 Stop in and see the many tin collectibles we have at Bahoukas Antique Mall and Beer MuZeum. 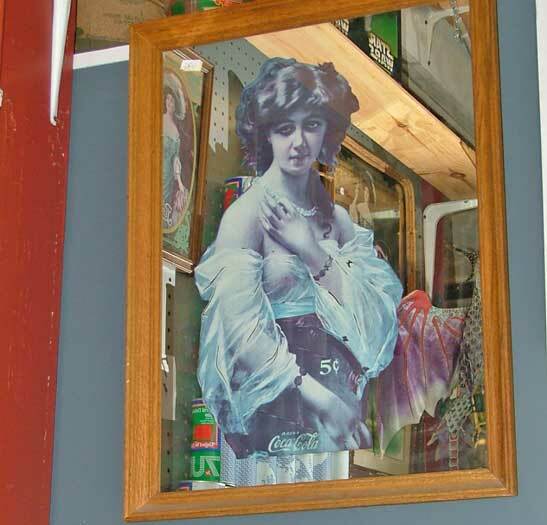 Then think about the creative ways you might use them in your home or office, or which ones you might add to your collection. And yep, we’ll be watchin’ for ya! 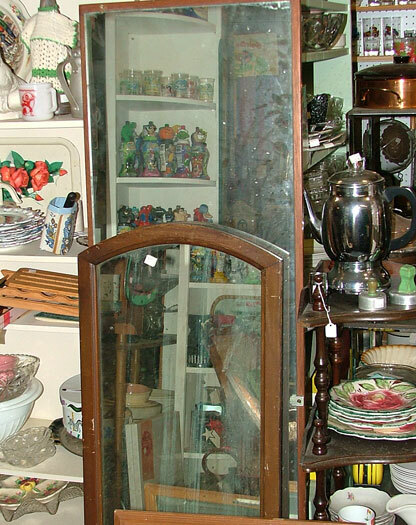 Did you know that Bahoukas is the Collector of Collections? PEZ are fun to collect for young and old! Of course, you’ve seen our Christmas Tree decorated with PEZ! And we have a huge selection in our shop. 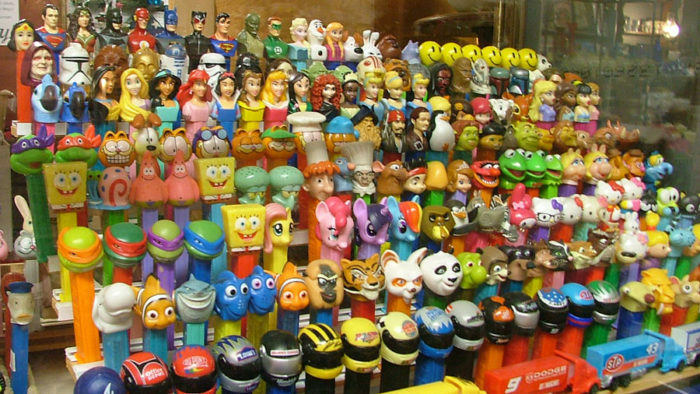 Did you know that George has an entire room in his home dedicated to PEZ. Yup, he sure does! 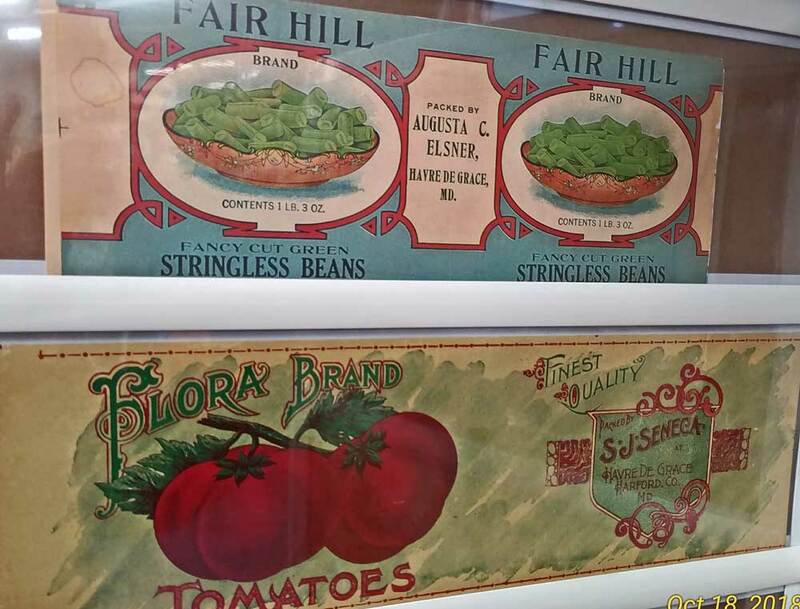 Canning labels are very collectible and can add to your kitchen decor as well. 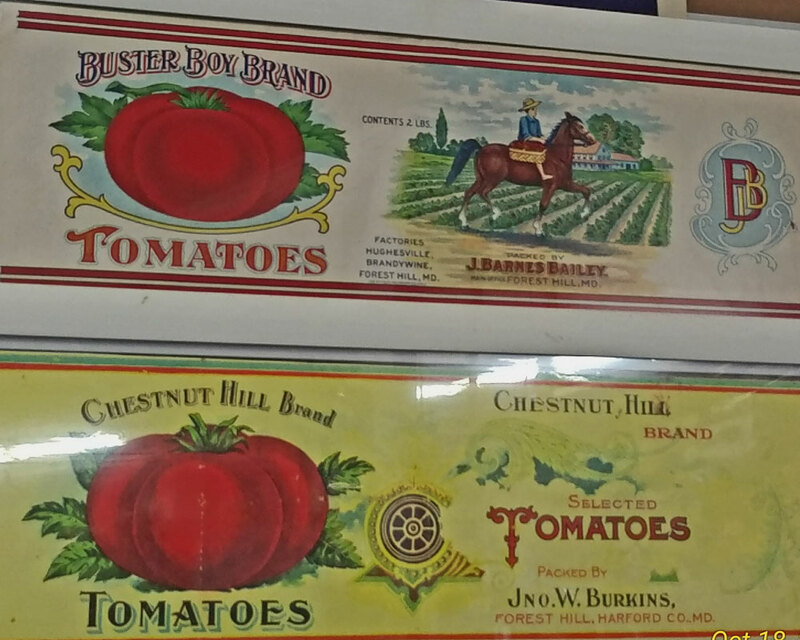 Canning was a major industry in Havre de Grace for many decades. And collecting canning labels is a passion for many. 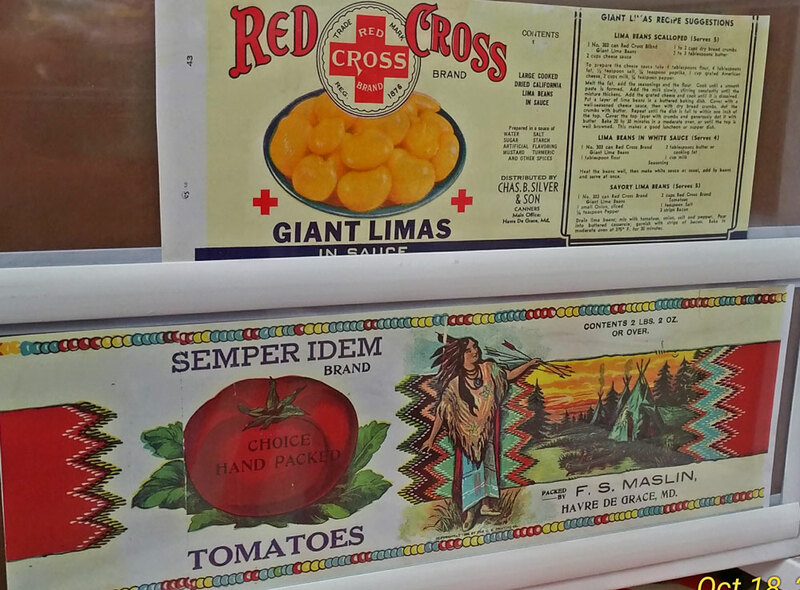 Our label reprints make for some very colorful items to create decorative pieces especially for your kitchen. 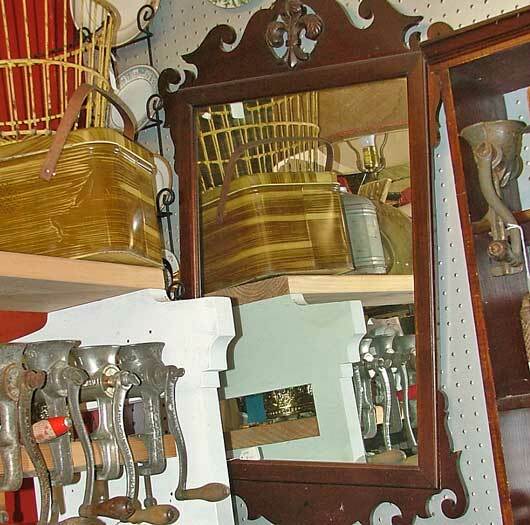 We encourage you to visit Bahoukas Antique Mall and Beer MuZeum to discover our many ‘collections.’ George really is a “Collector of Collections”! We’ll be watchin’ for ya! 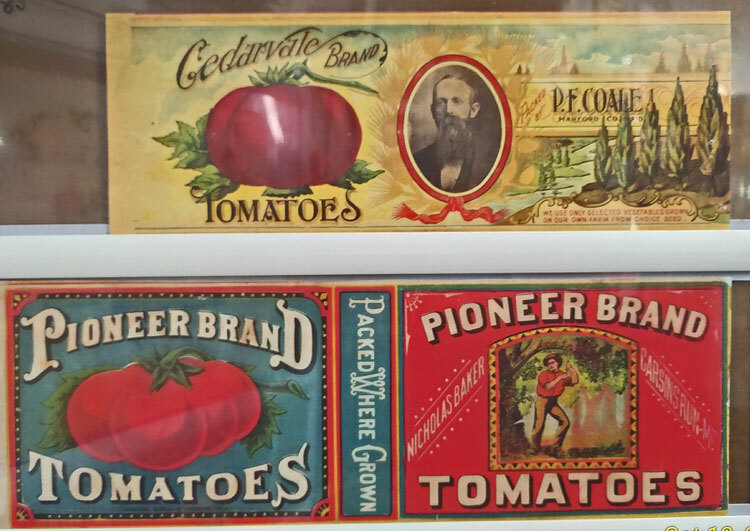 Could you imagine decoupaging some of these beautiful canning labels for unique kitchen decor! CLICK HERE for the link for some great ideas. Still not sure? CLICK HERE for more ideas. Look around. You can create beautiful coasters, cover a cutting board or that wood knife holder on your counter, a tray (metal or wood), cupboard doors, jars, and more. 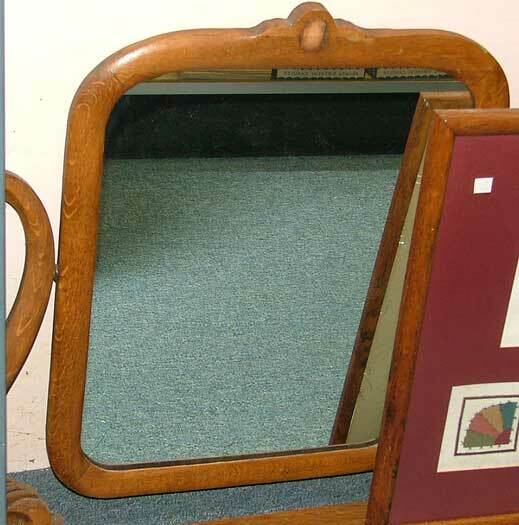 Beautiful, unique, and truly your own! 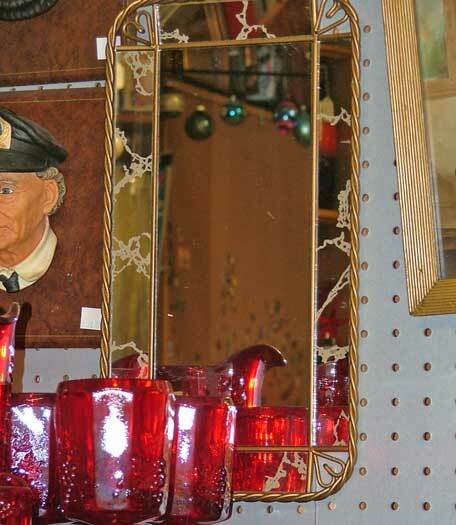 Stop by Bahoukas Antique Mall today and plan your holiday gift or creative decor items. We’ll be watchin’ for ya! 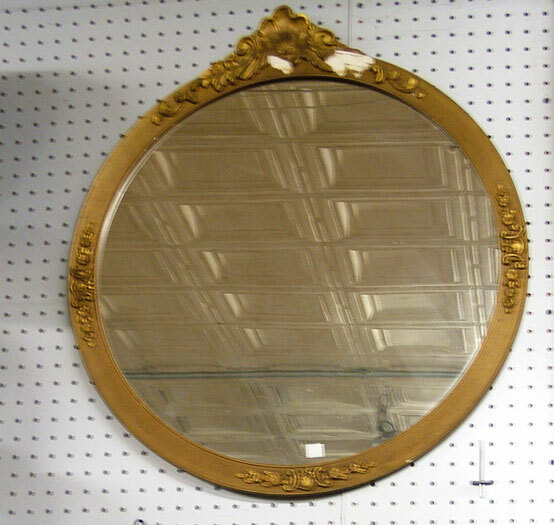 Reflections – real or perceived? 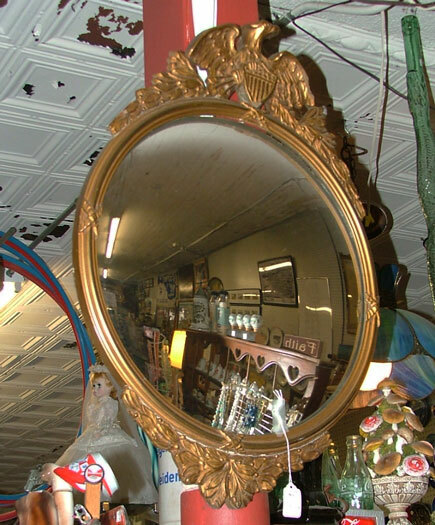 But have you really stepped into Bahoukas Antique Mall and looked for all the mirrors we have? The variety and sizes are many. 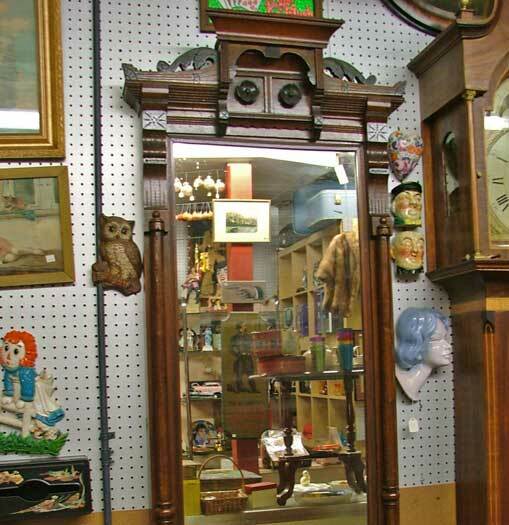 From a small child’s music box mirror to a huge, full-length mirror, and everything in between! The shapes are oval and rectangle. They’re found on the wall or atop a beautiful chest of drawers. You really have to stop by and check them out. I’m sure we’ve not found them all. And yes, as always, we’ll be watchin’ for ya! Welcome to August! Enjoy the final weeks of summer! 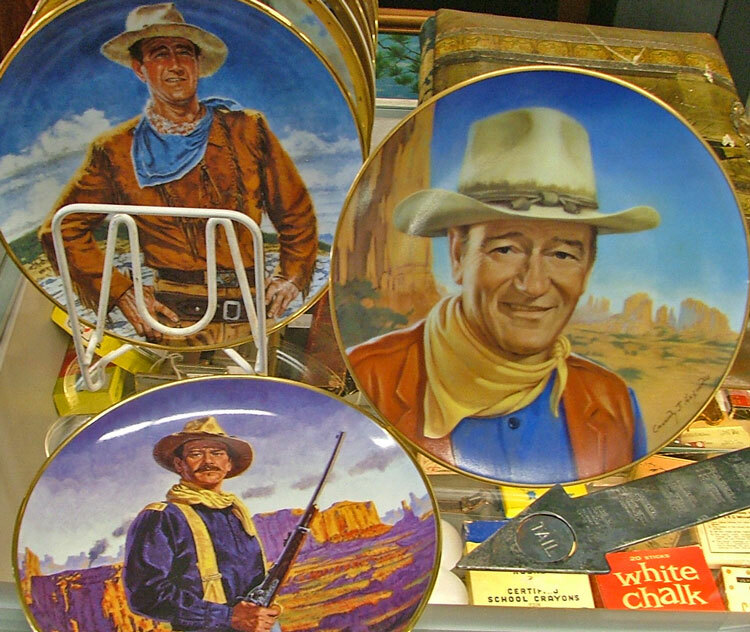 National Day of the Cowboy was created in 2005 to preserve the role and contributions cowboys and cowgirls made to the western heritage and history of our country. Every year on this day, the NDOC gives recognition awards to individuals, organizations and projects that contribute to the preservation of both pioneer history, and the promotion of cowboy culture. 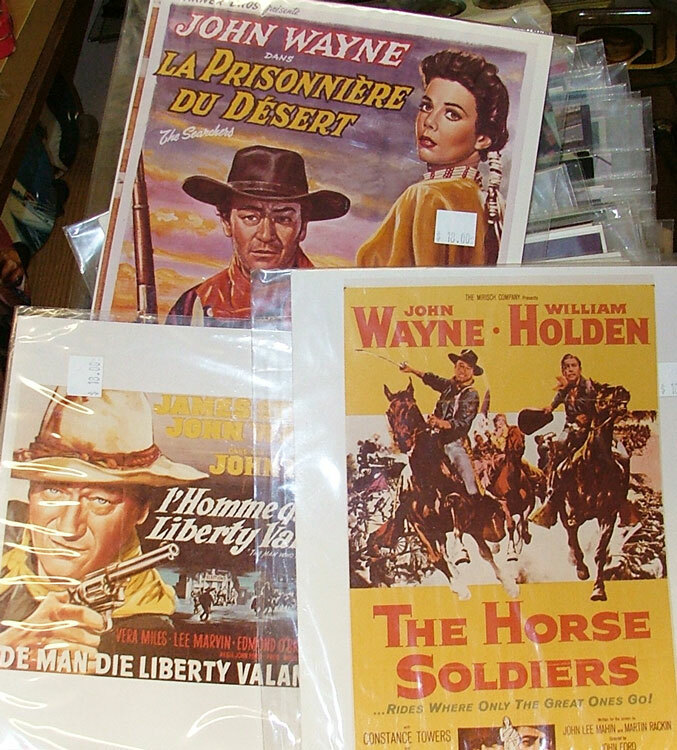 Shortly after the Civil War, cowboys and cowgirls began to appear in America’s heartland and the wild west. They were largely ranchers and ranch hands, raising cattle, horses and other animals. Cowboys herded them across the plains to feed the animals, and ultimately to slaughterhouses to feed a growing American population. It was a wild and often lawless time. In the absence of the rule of law, Cowboys developed their own code to live by, known as the “Cowboy Code of Conduct” or the “Cowboy Code of Ethics”. They were simple and logical rules of behavior. The rules could readily apply at any time, even today. Live each day with honesty and courage. Take pride in your work. Always do your best. Stay curious. Study hard and learn all you can. Do what has to be done and finish what you start. When you make a promise, keep it. Be clean in thought, word, deed, and dress. Practice tolerance and understanding of others. Be willing to stand up for what is right. Watch a Western movie that features cowboys. International Tiger Day celebrates tigers, the largest cat on the planet. It is arguably the most beautiful and majestic cat on the planet, too. Love ’em, hate ’em, or just plain scared of them, one must admit that they are indeed a beautiful animal. Read up about tigers and their loss of population. Show your support of groups working to raise awareness and improve their habitat. Go the the zoo and see these majestic creatures. Make plans to go on a safari, to see tigers in their native habitat. 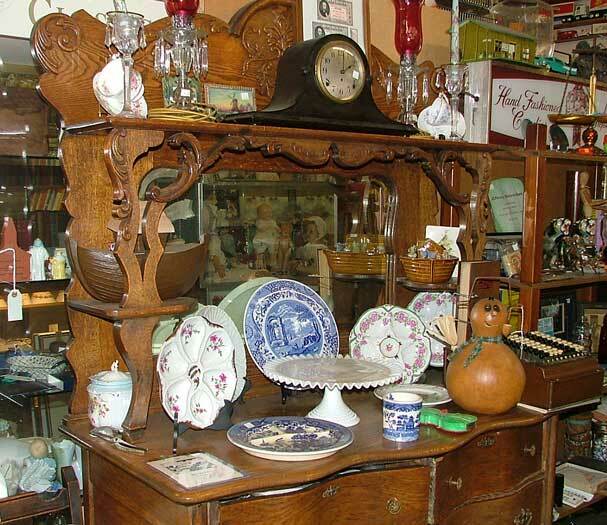 Celebrate these special days with us by dropping into Bahoukas Antique Mall and Beer MuZeum to enjoy the treasure hunt! We’ll be watchin’ for ya! Print before we used computers, was a bit more tedious. 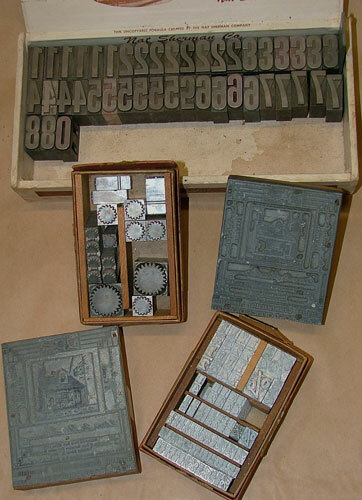 With the Chesapeake Printers Fair happening in Havre de Grace this Saturday, April 28, 2018, from 10 am until 3 pm, we thought you might enjoy a bit of background and some very collectible items available at Bahoukas Antique Mall. 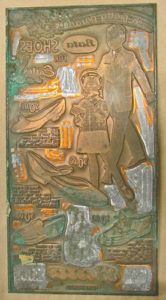 To the left is a plate ready to print designed for a Bata Shoes advertisement. 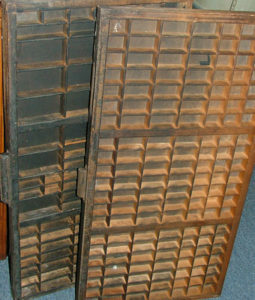 These printers drawers and shelves also make great shadow boxes. Below is a video from 1959 teaching “How to Set Type”. ENJOY and appreciate as you enjoy the Chesapeake Printers Fair. And just to add a bit more interest. 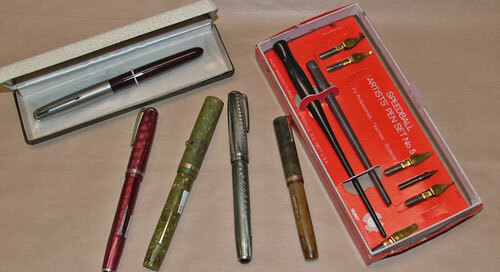 Along with typesetting, we have some beautiful fountain pens and an artist’s pen set. 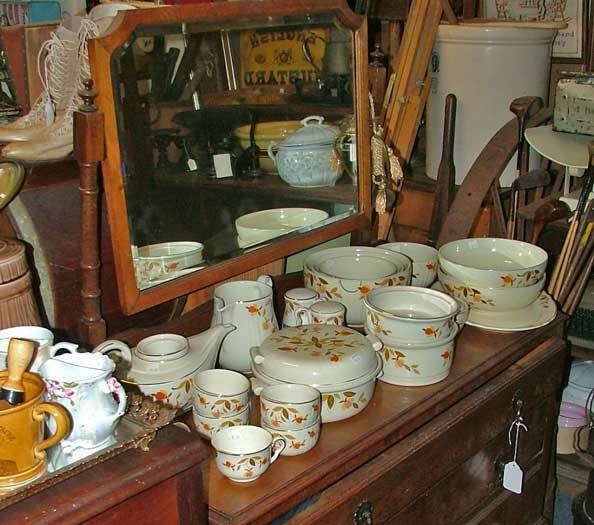 So, as you enjoy the Chesapeake Printers Fair and the Pyrex Fest both in historic downtown Havre de Grace from 10 am to 3 pm, be sure to stop by and see us at Bahoukas. Yep, we’ll be watchin’ for ya! What do Little Sprout, Nestle’s Toll House, and Wiley Coyote have in common? Artist Andy Warhol amassed a collection of 175 ceramic cookie jars. These were in a multitude of shapes and figures. 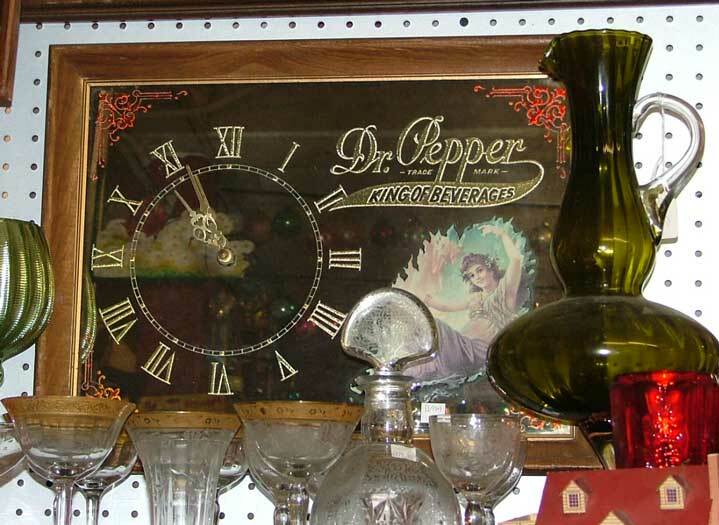 Most were purchased at flea markets. 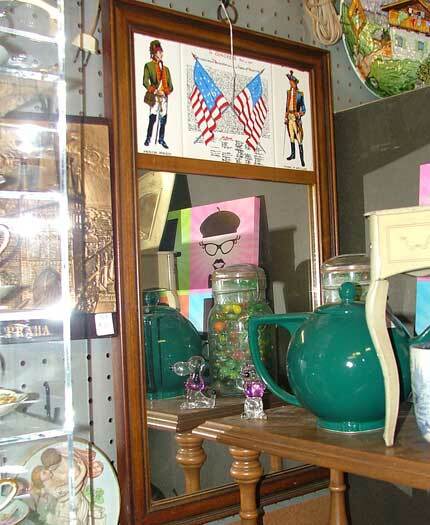 Warhol’s collection was featured in a prominent news magazine and sparked an interest in collecting cookie jars. When asked in the 1970s why he pursued the 1930s and 1940s jars, Warhol said simply, “They are time pieces.” At an auction of his apartment’s contents in 1987, Warhol’s collection of cookie jars realized $250,000. 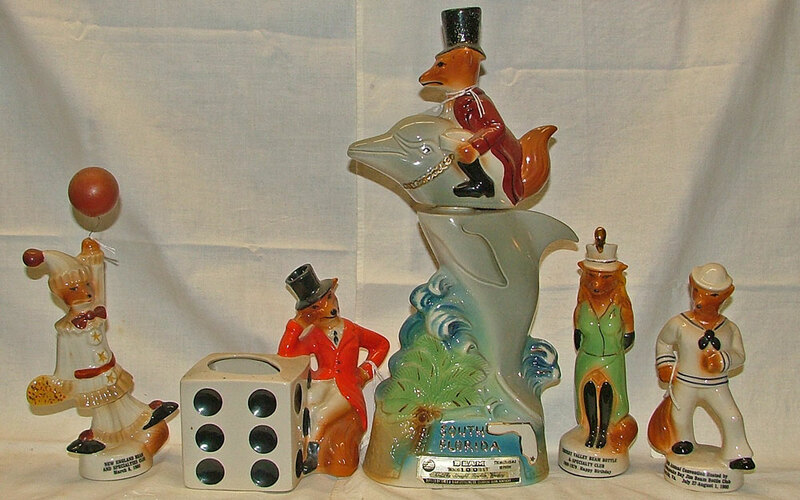 The Brush Pottery Company of Zanesville, Ohio is generally recognized as producing the first ceramic cookie jar. Early on, American companies would fill cookie jars with their product and sell the entire container. It was an easy and popular way to promote their brand and product. 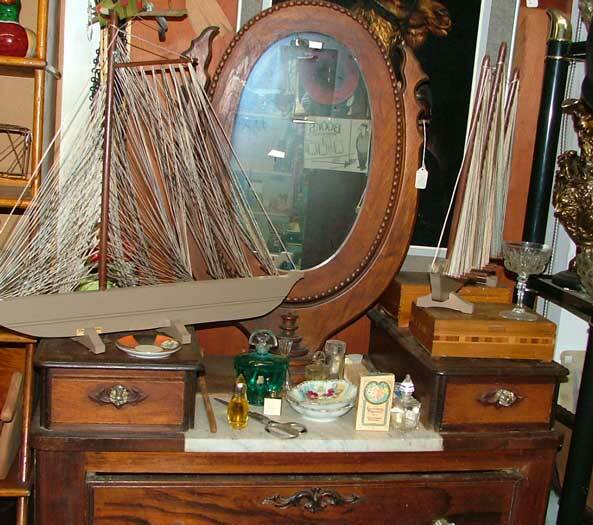 The above quote comes from a great article from Antique Trader. 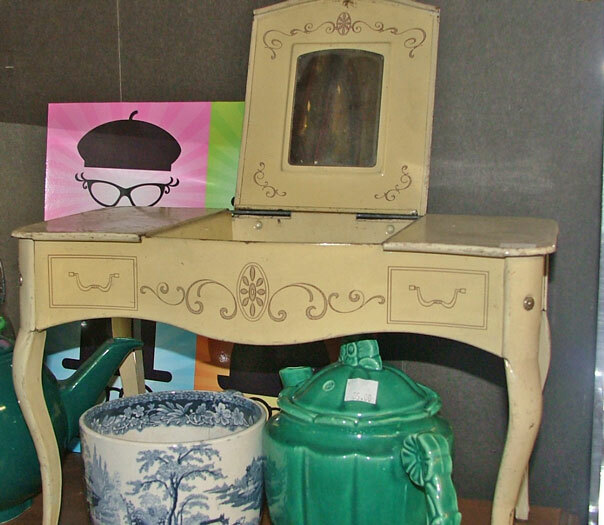 Read it for 9 other interesting tips about the history of cookie jars. Of course, here at Bahoukas Antique Mall we have wonderful collection of cookie jars. Come to think of it, they’re just in time for our upcoming Easter and Spring celebrations. 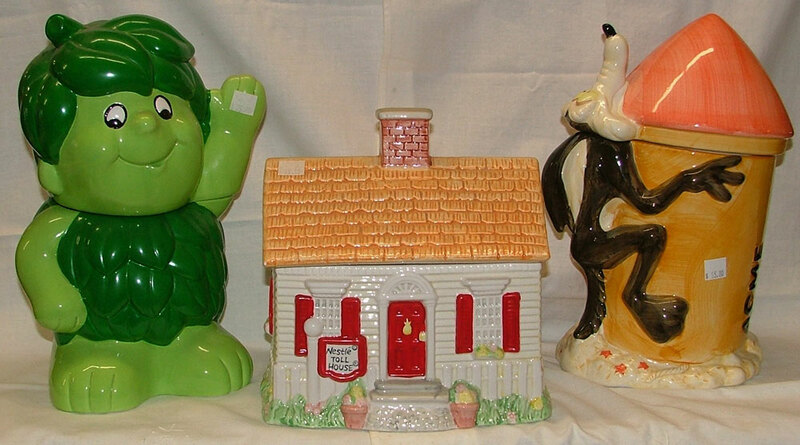 Brighten up your kitchen with a unique, collectible cookie jar. And yes, we’ll be watching for ya! Did you know that about Jim Beam? In 1964, under President Lyndon B. Johnson’s administration, Congress declared bourbon “America’s native spirit”. Today, bourbon is recognized around the world as America’s native spirit, led by Jim Beam®, the world’s No. 1 bourbon. Jim Beam decanters and ‘go-withs’ are great collectibles. Most of these pieces have specific histories. Bourbon is kind of like whiskey’s “sweet spot.” Because corn is a sweet grain, the more corn, the sweeter the whiskey—and bourbon needs to be at least 51% corn. In 1964, under President Lyndon B. Johnson’s administration, Congress declared bourbon “America’s native spirit”. The only thing that can be added to bourbon is water (and only to bring it down to proof). By law, bourbon must be aged in NEW charred oak barrels. It can’t say “bourbon” on the label if it’s not distilled and aged in the United States. It can’t be “Kentucky Straight Bourbon” unless it’s distilled and aged in Kentucky for at least 2 years. And it can’t say Jim Beam® unless it’s been made by seven generations of one family. 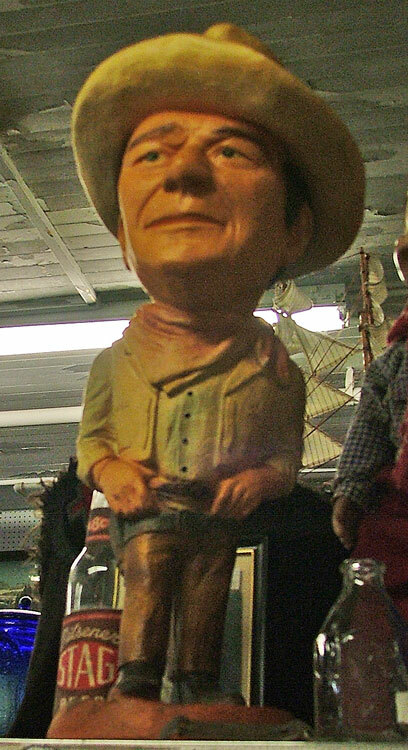 Yep, stop by Bahoukas Antique Mall and Beer MuZeum for more fascinating Jim Beam collectibles. We’ll be watchin’ for ya. 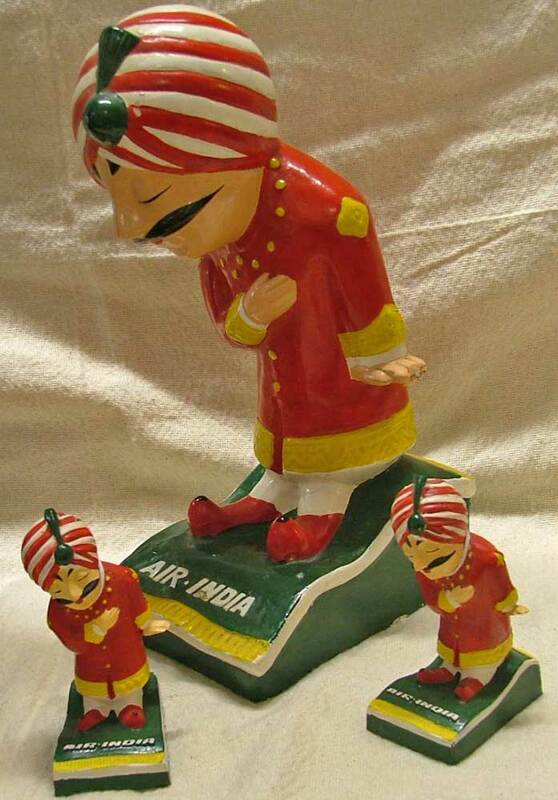 Airline Memorabilia is both fun and interesting. 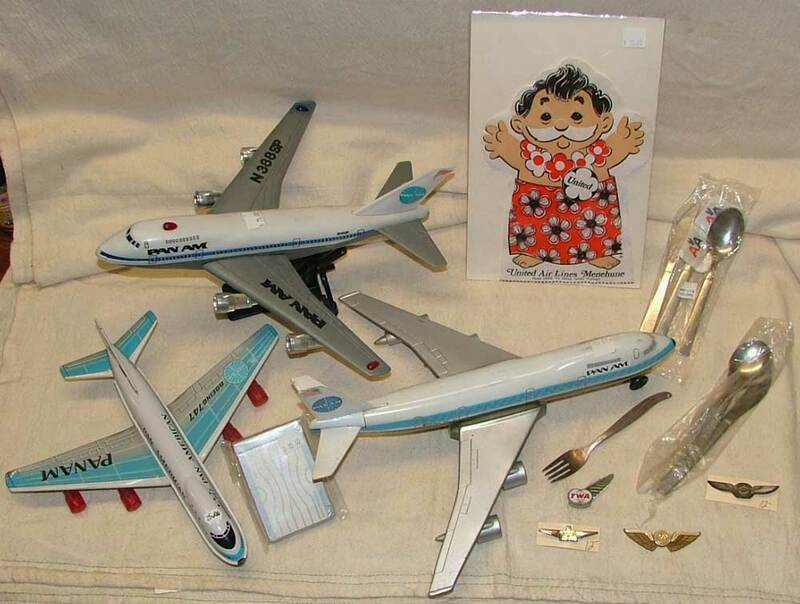 In front (l to right) is a Panam 747 friction plane model, a deck of cards, another PAN AM plane with a transister radio, a silverware set from American Airlines and one from United Air plus a TWA fork, pilot wings from TWA, North West, and American Air. In back is a battery-operated Pan Am plane and a United Air Lines puppet. 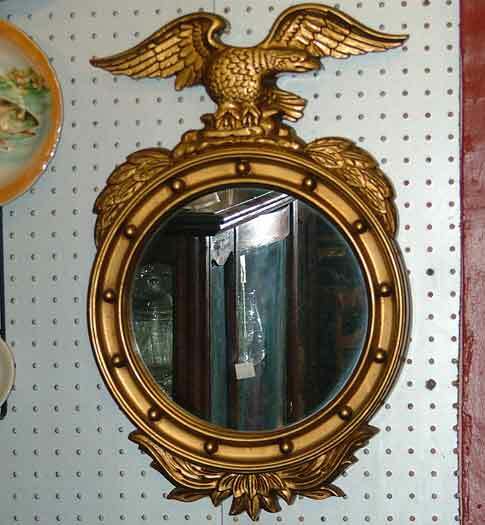 Looking for even more unique pieces? Check out the TIKI statue from United Airlines Hawaii. 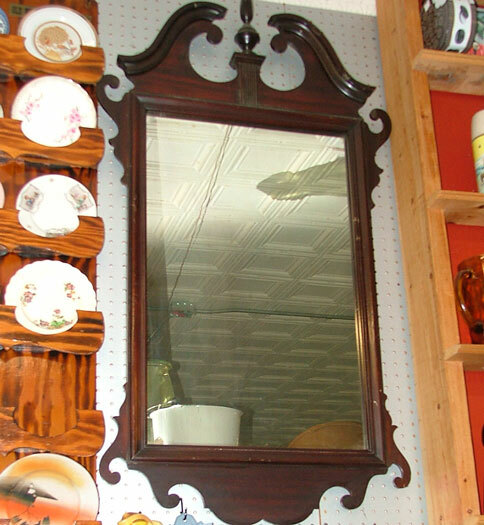 This piece is in excellent condition! ‘We call him a Maharajah for want of a better description. But his blood isn’t blue. He may look like royalty, but he isn’t royal.’ These are the words of Bobby Kooka, the man who conceived the Maharajah. This quote from the website for Air India shares a good deal of fun information on the development of their brand identities. We also found this interesting site for anyone who may want to learn more about Airline Memorabilia. Enjoy! 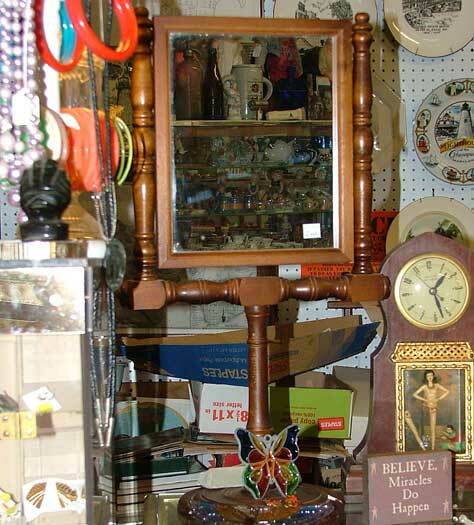 As always, we encourage you to visit Bahoukas Antique Mall in historic, downtown Havre de Grace. We’ll be watchin’ for ya!